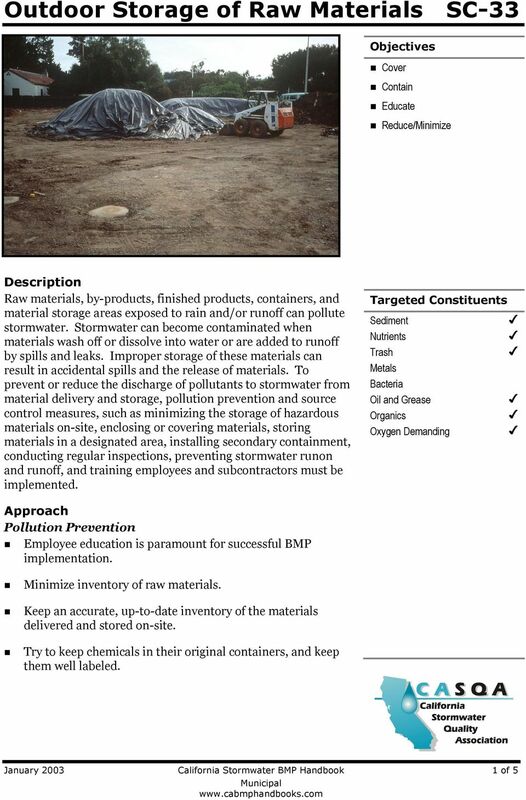 Download "Outdoor Storage of Raw Materials SC-33"
1. Review Column 1 and identify which of these potential sources of stormwater pollutants apply to your site. Check each box that applies. 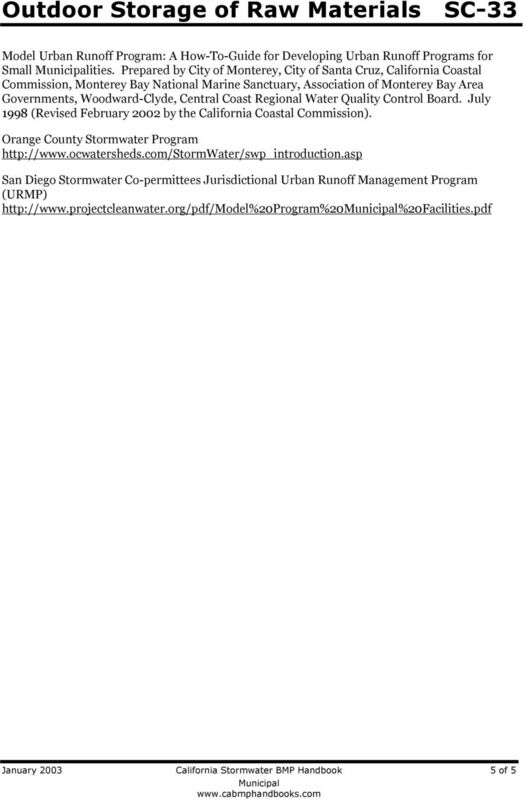 DRAFT Public Outreach Document for What s an SSMP? STORM DRAIN PIPE MAINTENANCE. a. 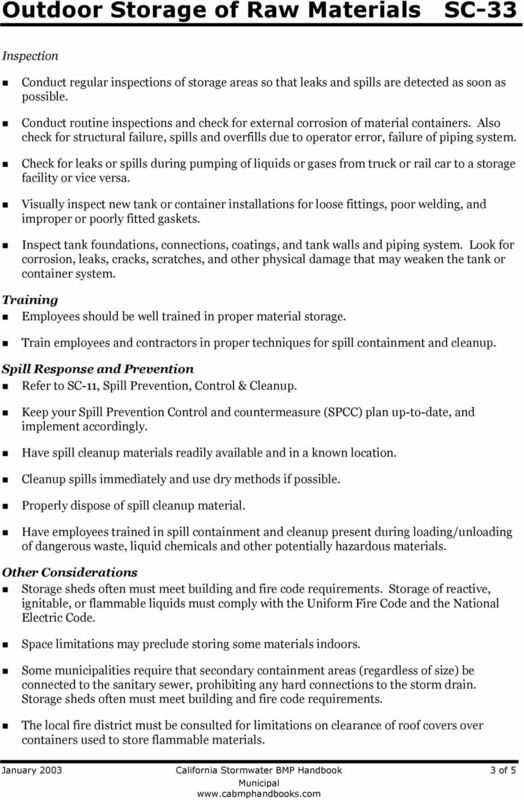 Develop standard operating procedures for maintaining storm drain pipes. STORM DRAIN PIPE MAINTENANCE a. 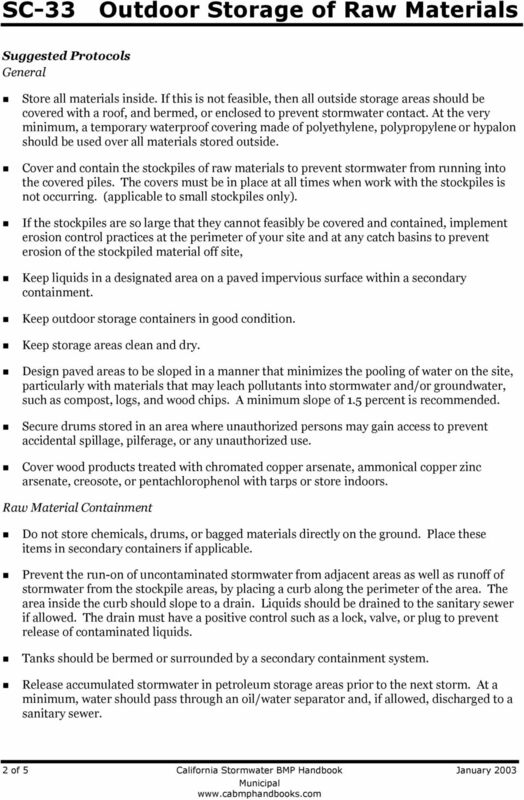 Develop standard operating procedures for maintaining storm drain pipes. 2. 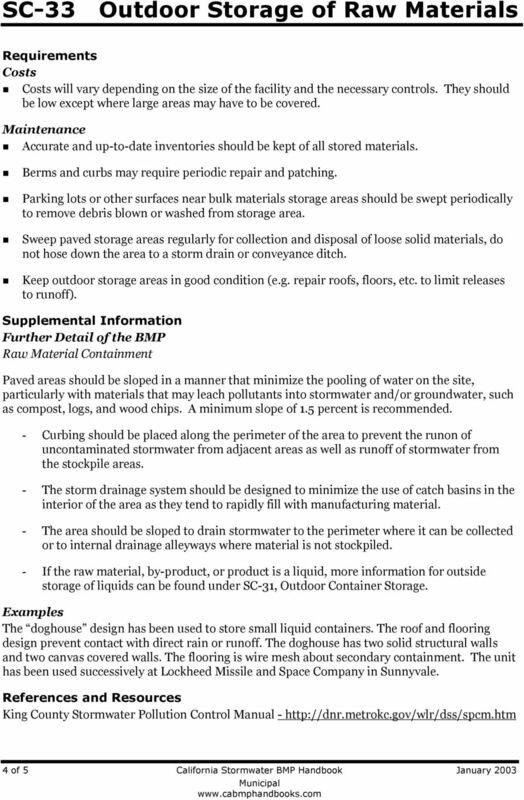 PROCESS Storm drain pipes are to be maintained per the Storm Water System Maintenance Plan schedule.